Shortland Bluff (Queenscliff Black) Lighthouse | Lighthouses of Australia Inc.
Queenscliff’s famous Black Lighthouse is one of only ahandful in the world that are unpainted black stone. It is the only black lighthouse in the Southern Hemisphere. The lighthouse was built to replace an earlier sandstone 1843 lighthouse that was under powered and the tower had structurally deteriorated. 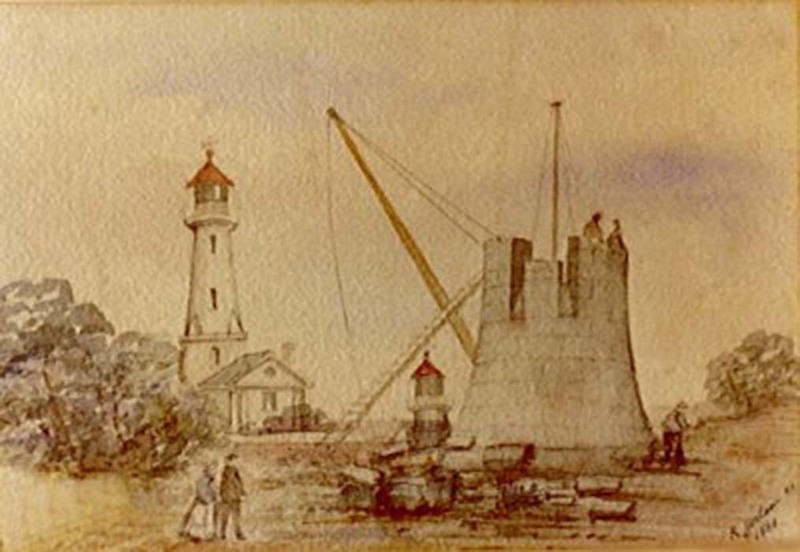 The new light was built in 1862 in conjunction with the White (Low) Lighthouse and therefore had many similarities in design. The lamps and housings were manufactured by Chance Brothers in England. The entrance was 3.5 metres above ground level reflecting the English lighthouses that where built on rocks at sea level. The entrance was later rebuilt at ground level. There are two greatly disputed stories of the origins of the bluestone used to build the lighthouse. One version claims that the stone came from Scotland already cut and dressed as ship’s ballast. The other version which is considered to be the official one is that the stone was quarried in Melbourne and brought by barge to Queenscliff. Proponents of this theory claim that the barging in of the stone is what lead to the misconception over the origin of the stone. 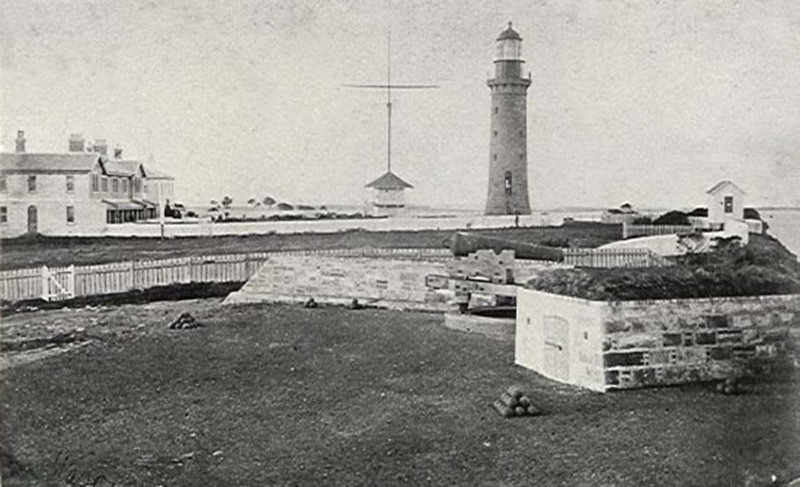 Fort Queenscliff was built around the light after fears that ships carrying gold from the gold rush may be attacked by privateers. The light was converted to gas in 1890 and later converted to electricity in 1924. It is believe that the first public telephone service in Victoria was installed in this lighthouse. The light, now automated, is unmanned. No tours of the lighthouse are available.